The eastern and western populations of monarch butterflies have begun their spring migration. 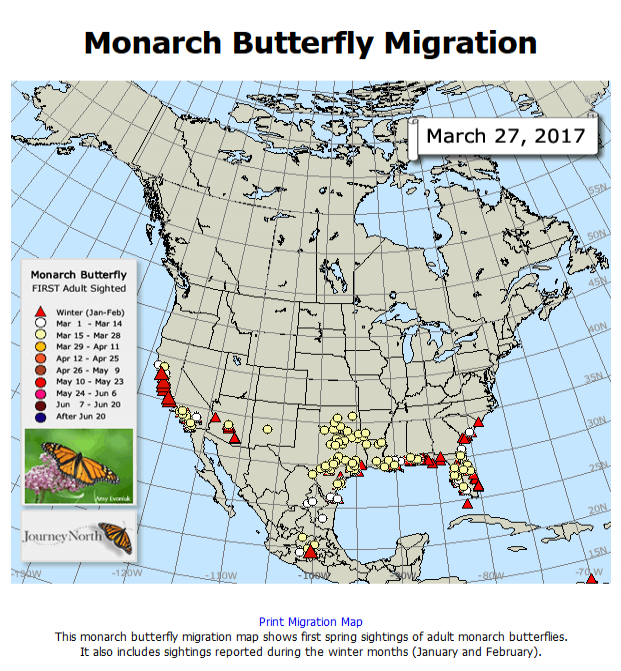 The eastern population is moving northward from overwintering sites in Mexico. Visit Journey North to view their progress and report local sightings in your area!